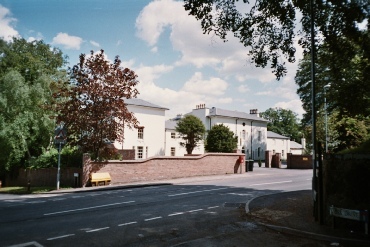 The Grange, situated at the corner of Town Street and Cow Lane, was built c1830 and it is probable that it was designed specifically for Charlotte , the widow of John Longden. John had been the squire of Bramcote and original owner of Bramcote Hills House. John and Charlotte’s eldest son and heir, eventually became John Sherwin Gregory through inheritance of other properties. He married in 1829 and would have set up home with his wife, Catherine, at The Hills. His widowed mother needed a new residence and thus she lived at The Grange with her daughter; Frances Jane Longden. It seems that Henry Enfield, the then tenant, managed to negotiate a private sale prior to the auction. His ancestors had owned and lived in a cottage alongside the old church for many decades before his father; Richard, had rented the more commodious Grange. Father and son were both solicitors in Nottingham and also had property there, but Henry and his sisters were notable figures in village life too. Following the death of Miss Mary Enfield in 1946, the house and contents were sold along with 19 acres of land and 15 cottages. 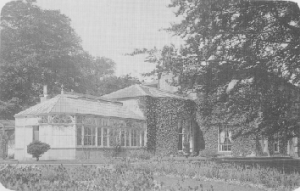 No longer in use as a family home, The Grange became a research laboratory for The British Sugar Corporation and was then converted into small flats for students at St. John’s Theological College. Latterly it has been modernised and transformed into 10 luxury apartments.